This is from the wonderful mac version of Highland Fling - now we know what's below the quicksand. Notice also Lara's lovely new hairdo. 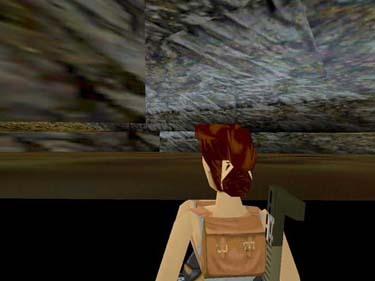 Jamaica Croft has captured a similar shot, with a lovely corkscrew hairdo - have a look at the other screenshots this week.